I know I spent at least 5 bucks a pop each visit but I still have to take a second to thank my local Starbucks for always giving me a safe, warm and delicious abode to write, evening after evening. 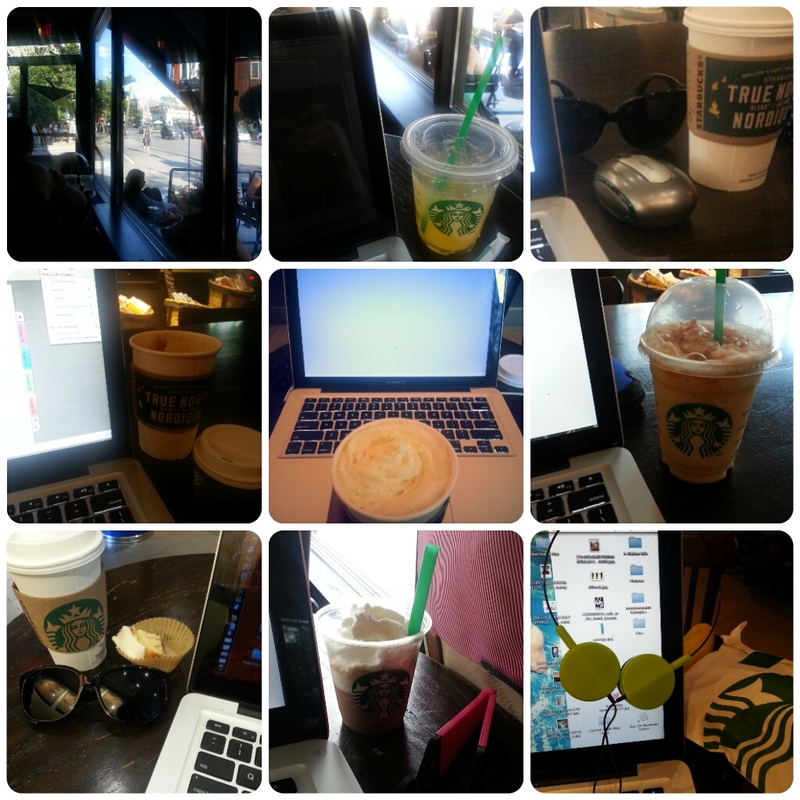 I love cataloging my journey, especially in collages. Happy Friday! More to come. I love the collage, too. It definitely conveys the atmosphere of your favorite writing spot!